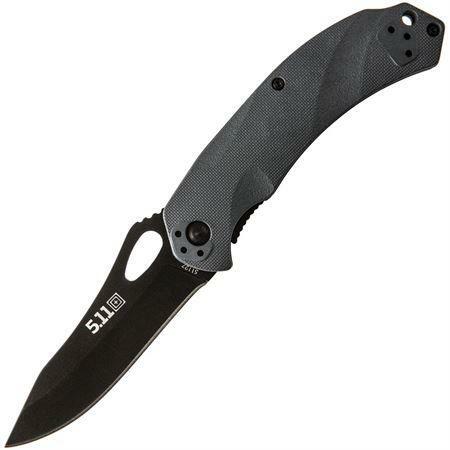 5.11 Tactical - Alpha Folder. Model FTL51127. 4" closed. 3" black finish stainless blade with thumb slot. Gray G-10 handles. Lanyard hole. Four way reversible black finish stainless pocket clip.